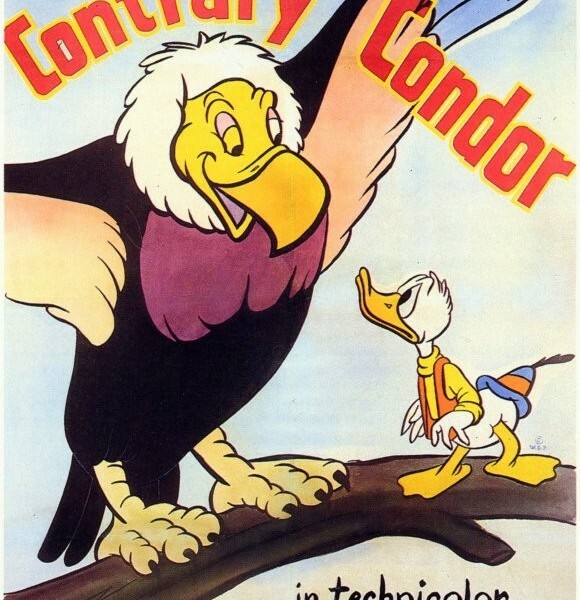 Contrary Condor (film) Donald Duck cartoon; released on April 21, 1944. Directed by Jack King. Donald, an egg collector, climbing in the Andes, is almost too successful when he pretends to be a baby condor when caught trying to steal an egg by the mother condor. Donald’s attempts to escape with the egg are complicated by a baby condor and the mother’s flying lessons. He loses in the end, still tucked under the mother’s wing, along with the egg and the baby condor.